Download Give It Up! 2 the free music blob game. It is fun and challenging at the same time. The Give It Up! 2 is the successor of the cute Give It Up!. New adorable black blobs and slimes, crazy multi level tracks and new music. • Difficulty varies: practice a lot and level up in this funny game! 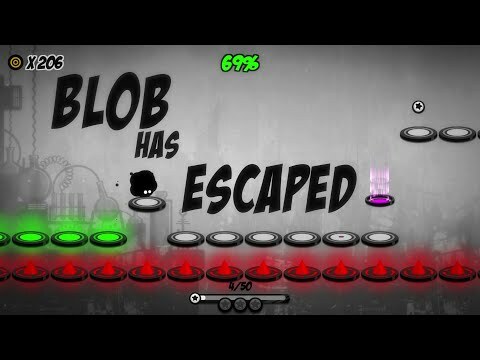 • 27 crazy and challenging stages: proceed in an order of your choice with your sweet blobs. • Tap to the rhythm of the music and jump across the black platforms! • Watch out for spikes, steps and other crazy obstacles! • Discover challenging hidden stages! • Jump like a pro: accomplish 3 stars on every stage! • Collect adorable blobs and slimes. • New graphics effects, the adorable Give It Up! never looked so cool. • New original soundtrack, electro-, rave music and the classic one from Give It Up! • The multi-layered music changes dynamically during the game. • You can record your own sounds and put it in the game. • New leaderboards were added for each of the three daily challenge difficulty levels.